You can buy most of these from my blog with Paypal, easily and quickly. Some you can buy direct from the publishers. And of course also from that dreaded online mega-seller beginning with an A, where my American author page is here and my British one here. The Book Depository also sell many of them, and ship worldwide free. Or order them from your local independent bookstore. Some titles have a click-through option, below. Or simply email me through this site. There are reviews on most of them on Amazon. 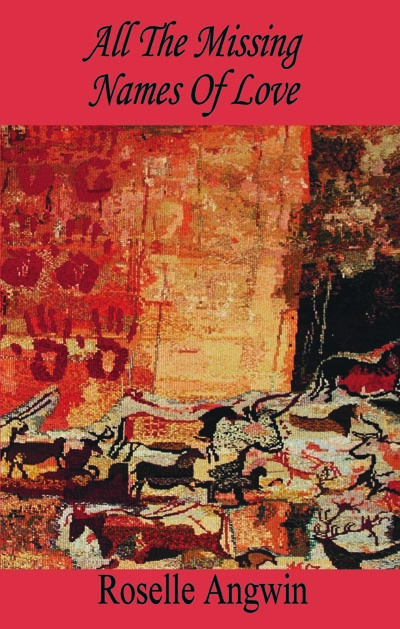 Several have had a number of lovely reviews in journals. Being a Luddite, I’m going to stick to hard copy, myself, but if you’re a Kindler, both my novels are also available on Kindle. You can read other poems, and see some carved into wood in one of my collaborative projects, on this page which elaborates a little on my life in poetry. Here’s something lovely someone’s just written to me about my work: ‘There are only a few writers whose work one turns to with such pleasure and sure knowledge that the larger seeing, the wider heart will be restored through reading their work.’ CB. A Trick of the Light is my most recent book; my 4th full collection of poems, this time from the Isle of Iona 2000–2017 (with one or two older poems), published by Pindrop Press December 2017. I’d love it if you bought it. ‘They’re both other-worldly and of this world, depicting that real world where the veil is thin. If anyone says they don’t know what that means, I’d give them this collection. There’s another lovely review here, on Goodreads. I’ve just finished work (6th draft!) on a narrative non-fiction book written in and about the ancient Forêt de Brocéliande in Brittany. 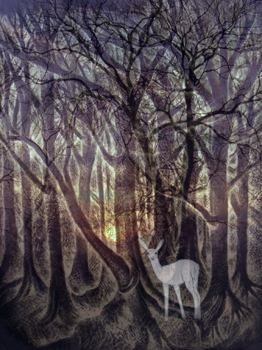 A Spell in the Forest draws together memoir after a decade of grief, tree lore and tales of the lost feminine. It’s currently out seeking its fortune. Wish us luck. As of 1st January 2019, it seems I’m writing a new book on plant-based living for a sustainable future, complete with vegan recipes from our veg garden. More anon. ‘In the queue’ is a collection of essays on place and belonging. Following that, I’ll be publishing some of the short essays (by popular request, as they say) from my blog. 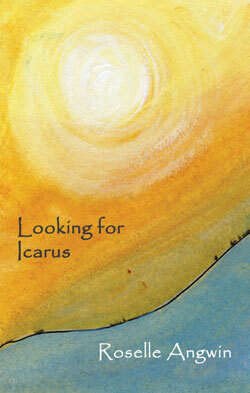 From IDP is a reprint (10 years on) of my first poetry collection, Looking For Icarus. I’m delighted and, unusually, I still really like all the poems in it. And what a great cover. 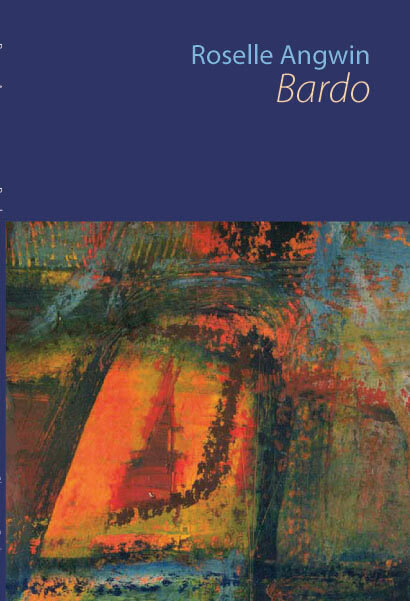 You can listen to a rather strange atmospheric little sound poem from this collection here. It was written with broken ribs and therefore in some pain at 3 a.m. one morning. Here’s a sample poem, and there are 5 or 6 more here. You can buy the book from this link, too. rippling ring of light on the dark river. river-stone-cold. Breath feathers the last of the day. steps forward and who is left behind? long gone into tree, or bird, or sand? There’s a summary of it on the Guardian’s ‘readers’ best books of 2013. There’s a long story behind River Suite, which I’ll fill in at some stage. For now, I’ll keep it at this: this is a long poem, in seven sections, set on Dartmoor. This new limited edition is truly beautiful; it’s accompanied by the stunning Dartmoor water photography of Vikky Minette, and it’s been sensitively and gorgeously designed by Sally Chapman-Walker of Mudlark Press. Everyone who’s seen it has loved it. It’s around 40 pages; most spreads have at least one photo, and we’ve only printed 300 of which 250 have sold. And it’s only £15. I’m told it makes a great present. If you’re trying hard not to think about the C-word in summer, could I suggest that you let your subliminal mind buy a copy for that Significant Other (or, indeed, yourself)? You can read section 1 here: http://roselle-angwin.blogspot.co.uk/2013/04/river-suite-2-section-1.html, and you can buy it from the Paypal drop-down menu to the right of the column on that blog. If you email me I could also send you a PDF of the first few pages. There! How’s that for a bribe? A stranger’s just emailed me these lovely words about the audio version on my home page: ‘I listened to your piece on soundcloud’ [Home page]. ‘It made me cry – for joy and for reconnecting with part of myself I had forgotten. Thank you. You are doing something very special and important.’ Thank you, JG. This is my most recent collection of poems (IDP). People have said lovely things about it. You can buy it here. 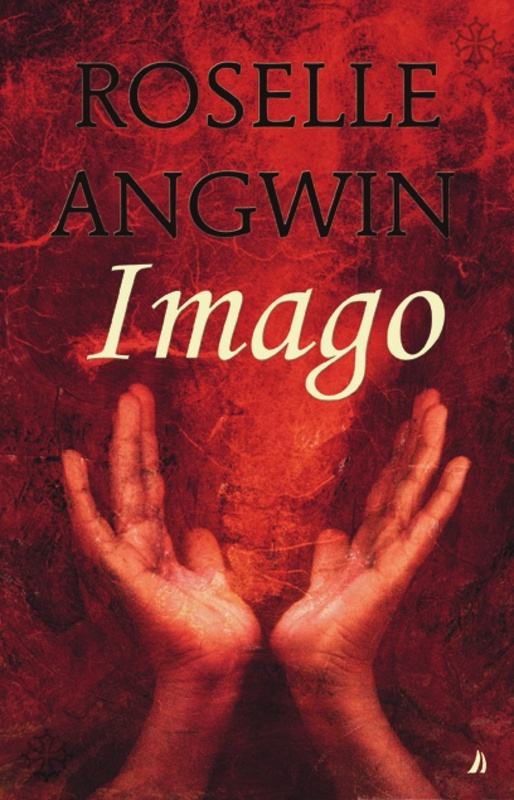 You can read a sample and buy a copy here (or, as with most of the others, from my blog: roselle-angwin.blogspot.co.uk) and also here. Need a shot of inspiration? Want to work with me over 300+ pages? Christmas/birthday present for a writer? 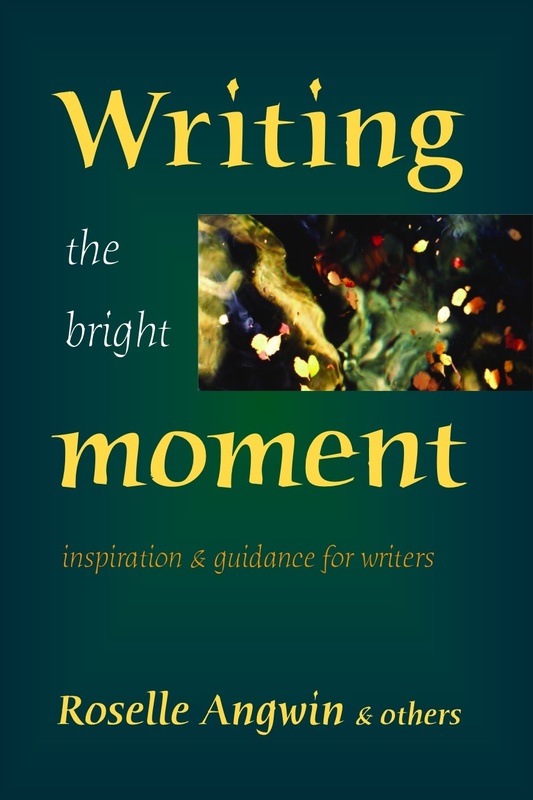 This book is a much-acclaimed hands-on collection of my workshops, basically, with a number of contributions by other writers working in similar fields. Approx. 350pp. You can buy this on Amazon, or direct from me (best to go to my blog and use Paypal). 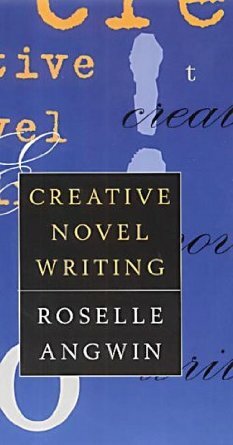 (Robert Hale 1999) This one does what it says on the tin – takes you right through the process of writing a novel, based on my Storymaking workshops (as featured in The Guardian) (so it includes exercises). People seem to like it. (Christmas or birthday present for that aspiring novelist?) Someone said they wished they’d seen and bought this one first instead of wasting money on a load of other books on novel-writing! It’s out of print now; I have a few left. Signed copies will cost you £10 plus £2.80 p&p from me (use roselle[at]fire-in-the-head[dot]co[dot]uk on Paypal (replacing with the usual symbols). This was my very first book. It was an exciting commission, taken by phone in 1993 from the then Element Books. At the time, I was making my living as a shoemaker from a converted ox-stable in the grounds of a C13th abbey, as you do, and when I took the call I was covered in dust and glue and at first had no idea what the commissioning editor was talking about. But I’d trained as a counsellor in Transpersonal Psychology by then, and was leading occasional workshops: ‘Myth as Metaphor’, all about archetype, story, and the ongoing relevance of myth to our psyche and lives. This book is that. There are very very few of this lovely edition (I mean the cover!) in print; it was bought out by other publishers who’ve been pretty rubbish, really, and also given it awful covers. I have just 3 or 4 of this edition left – 2nd hand, and one or two new. Do please contact me for info. 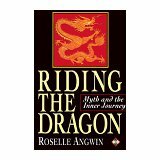 23 years after its publication, I’m delighted that the current President of the Pagan Federation in GB mentioned this book in his presidential acceptance speech as one of his influences in finding his path. Hot off the press, as they say, is this lovely little booklet of my retelling of a traditional tale, illustrated and designed by Alexi Francis. You can see info here.It might be the first of a set. The easiest way to buy this (it’s £4.50 in GB including postage, £5.50 in the rest of Europe) is to go direct to Paypal and put in my email address, which is Roselle followed by [at]fire-in-the-head[dot]co[dot]uk, replacing of course with the usual symbols. Don’t forget to send me your land address with the order. I’ve others. I’ll upload them soon. There are reviews on all except the little booklet on Amazon. And here’s a plea: no matter where people buy the books, Amazon reviews are invaluable. If you’ve read one or more of my books, it would help me enormously if you could write a brief review. You can buy most of these from my blog with the Paypal button (safe and easy). Thanks, Lynne. On my blog I now also have a recording of my reading of that poem.